Balou is now 24 months old at a amazing 119 lbs! He has a large block head and wide jaw. 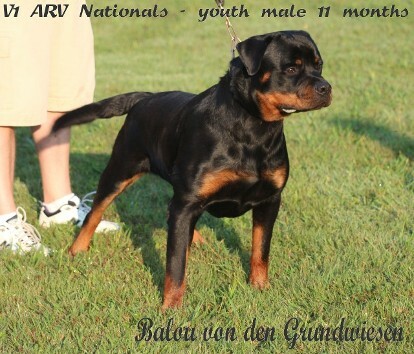 Balou von den Grundwiesens' pedigree is proven to create excellent temperment, bone, and structure. Read Balou's critques to the right. 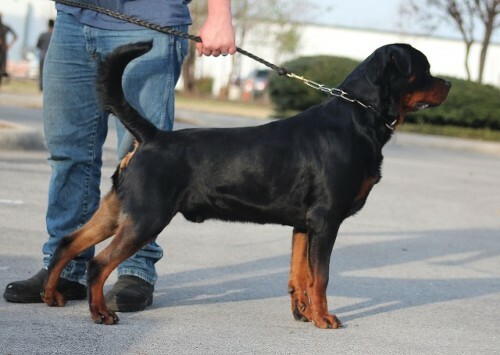 Our Rottweiler kennel wants to thank Stefan Koge at von den Grundwiesen kennels, Germany for sending us this beautiful Rottweiler puppy. 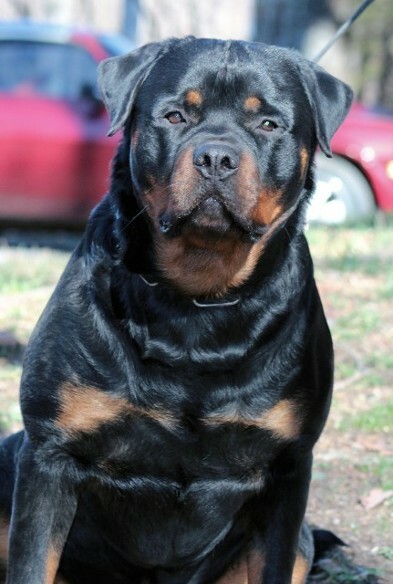 Balou came to us very healthly and a excellent temperment. Balou was socialized in thier home, not in a kennel. Balou is very familiar with all the sounds in our house and is not spooked or afraid of anything. Check out the new videos of Balou, and our youtube video page.